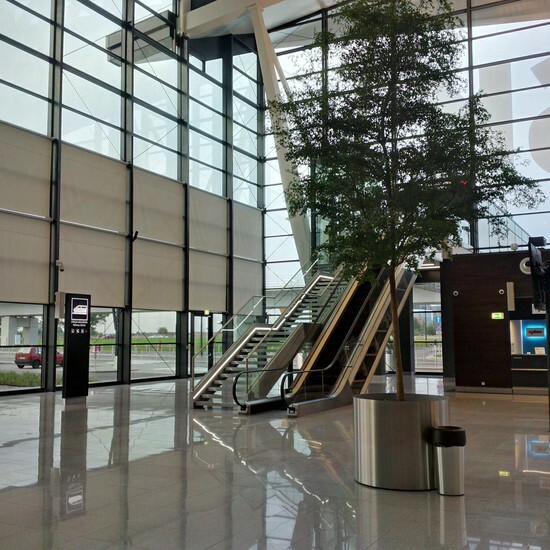 The airport, Port Lotniczy Gdańsk im. Lecha Wałęsy (aka Gdańsk Lech Wałęsa airport), is 20km south of Gdynia centre in the Gdańsk Rębiechowo district. The modern terminal handles both arrivals and departures. 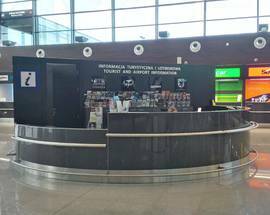 After landing you enter the terminal building from the baggage hall where you’ll find a Gdańsk Tourist Organisation information point in front of you, car rental desks and ATM machines. 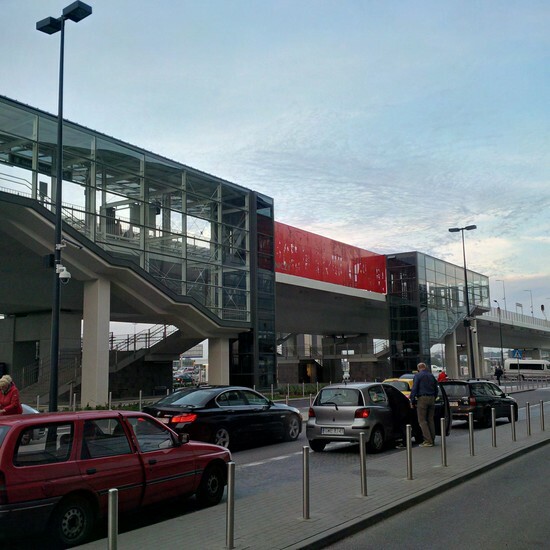 A train service connects the airport with the three cities of Gdańsk, Sopot and Gdynia although a change at Gdańsk-Wrzeszcz may be required. 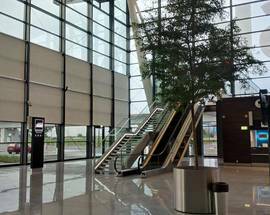 You can reach the platforms, where you will find ticket machines, by taking the escalator to the left as you leave the baggage hall. Tickets cost 3.80zł to Gdańsk and 6.50zł to Sopot and Gdynia. 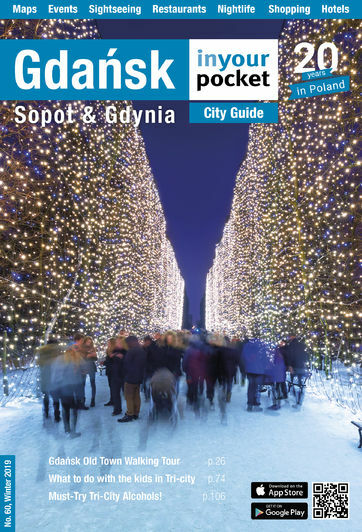 For more information see the PKM section of our Getting Around chapter and check train times at rozklad-pkp.pl/en. Neptun Taxi is the official taxi firm and can be trusted. Look out for their cars with the 19686 logo on the side. Be suspicious if offered a lift by any car not bearing their logo. We quote approximate prices below but these will be more at night and from Saturday at 22:00 until Monday at 06:00. 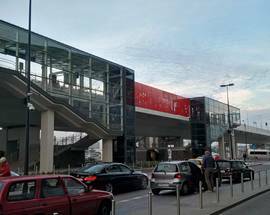 If you want to catch a bus (210 to Gdańsk, 122 to Sopot) you will find the bus stops directly across the road as you leave the terminal. You can also reach Gdynia directly by train without the need to change thanks to a connection via Osowa. 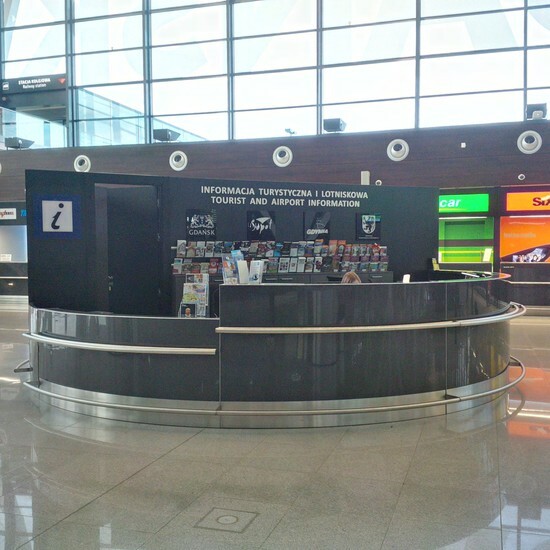 You’ll need to take the train from the platform furthest from the terminal building and be careful to board a train which is going to Gdynia Główna as some run out to Kartuzy in the Kashubia countryside. The easiest way to get to Gdynia is via 19686 taxi and it will cost you 120zł to the centre of Gdynia with prices higher at nights and on Sundays.